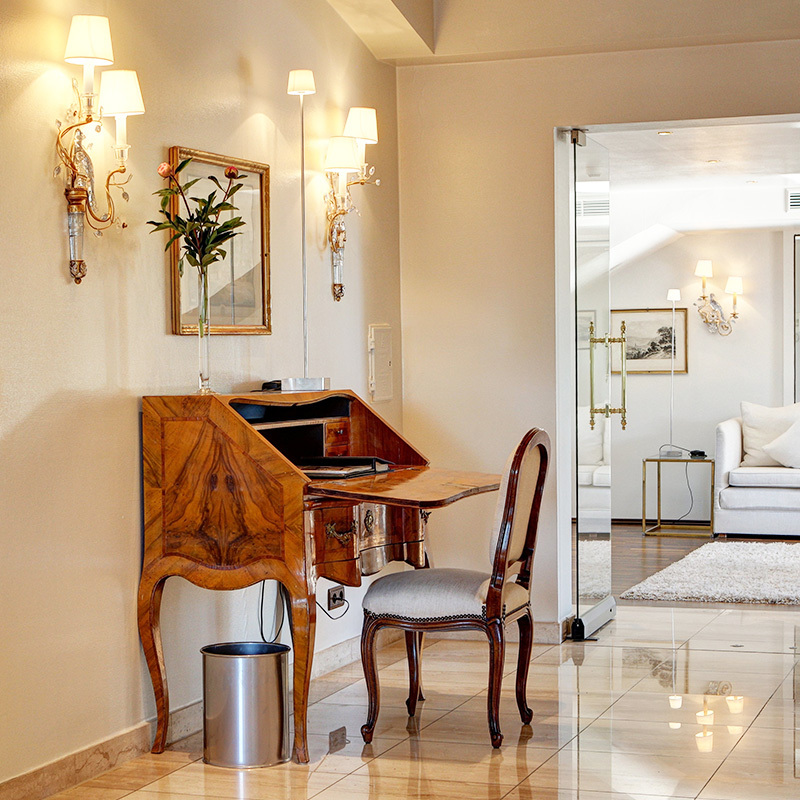 The largest suite in the hotel, and probably even in all of Heidelberg, impressively spans the entire 4th floor with a total floor space of 200 m2. Two elegant bedrooms and two luxurious marble bathrooms, one with a walk-in shower, and a walk-in closet create a sense of elegance and space. A special kind of spatial and living experience is offered here with a view of the world-famous Heidelberg Castle. The large living room is the perfect setting for private candle-lit dinners or a festive cocktail reception for up to 12 people. In addition, the Suite offers a fully equipped kitchen. The private terrace overlooking the beautiful Odenwald forest will allow you to relax as the day draws to an end or to simply enjoy the Heidelberg sunshine in peace. The turndown and first-class shoe cleaning service as well as a 0.5-litre bottle of mineral water in your room are free of charge. Our Penthouse Suite is something very special: With noble furnishing and loving details, it conveys a stylish attitude towards life. The entry to our large Spa area, the beauty lounge and to the very well-equipped gym is free of charge for our overnight guests. You will leave everyday life behind you in our wellness oasis above the rooftops of Heidelberg. Enjoy swimming relaxing lengths in the pool, treat yourself to a couple of sauna sessions or let us spoil you with massages and cosmetic treatments. 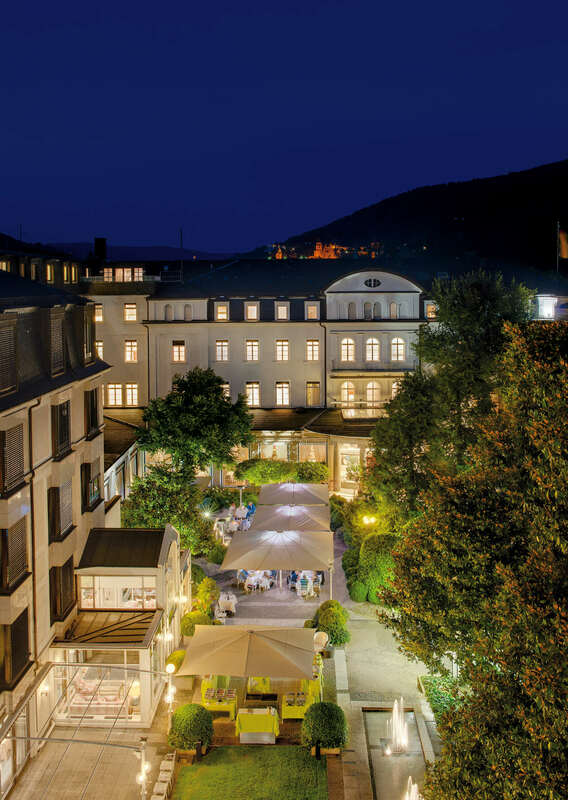 Look forward to a truly special stay at Europaeischer Hof Heidelberg.